Foreign investors have been eyeing potential opportunities in the overseas property market, where real estate is affordable and returns are high. One of those powerhouse markets is Japan, the second largest real estate market in the world after the U.S. Unlike many other countries, there are currently no laws or regulations in Japan prohibiting the purchase of real estate by foreigners. This allows 100% ownership of deeded, freehold property, registered to a foreign address. 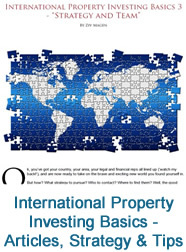 Overseas investors can even buy and own real estate without ever having visited the country. 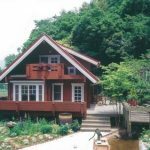 Through successful property purchase facilitation, I have put together factors which overseas buyers consider when purchasing real estate in Japan. 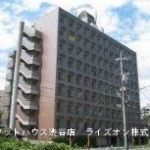 In this example, I am using the popular purchase of a one-bedroom unit in Fukuoka, Western Japan’s biggest and most prominent metropolitan centre. Investors look for stable, growing locations with improved infrastructure. Fukuoka, the capital city of Fukuoka prefecture is one of Japan’s fastest growing cities. This modern, developed city attracts investors for both, quality of living, and a lower cost of living than Osaka and Tokyo. There is no shortage of tenants in Fukuoka. Home to Fukuoka Airport, which services international and domestic flights, it acts as a key hub for business and travel in South–East Asia, and as the primary gateway to Japan for an increasing number of travelers from those countries. Fukuoka hosts more than 2 million tourists annually, mainly from South Korea and China. Universities in or near the Fukuoka prefecture enroll nearly 10,000 students per year. Fukuoka’s economy is largely focused on the service sector. It is the headquarters of large corporations, Iwataya and Kyushu Electric Power, Kyushu Railway Company (JR Kyushu) and Nishi-Nippon Railroad, as well as many small IT, logistics and high-tech manufacturing firms. It is also home to several regional broadcasters including Fukuoka Broadcasting Corporation, Kyushu Asahi Broadcasting, Love FM, RKB Mainichi Broadcasting and Television Nishinippon Corporation. Fukuoka also has its own stock exchange. Tenants employed in this lucrative market hold secure jobs, providing an ideal source of rental income for foreign investors. Fukuoka is a popular residential area where vacancies are far lower than the regional average, and are now at a historical low of just under 4% for class A assets. For one reason it is a convenient and direct commute to central Tokyo. 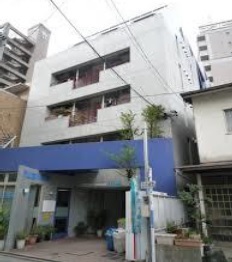 Second, it has a number of shopping areas, hospitals, schools and some of Japan’s top universities. In this particular case, the property is located in close proximity to Ohori Park, the city’s central green lung and recreation area – one of the best spots in town. It is also only a two minute walk to the nearest subway station, which makes it even more attractive to tenants. Although apartments, detached houses, buildings and land are available for purchase, small properties in Fukuoka city with one or two rooms, a kitchen/kitchenette are an investor favorite. A smaller unit means lower maintenance and renovation costs, low property taxes and higher return from rental income. Overseas investors also look for a well-maintained building to mitigate the risk of any unexpected and sudden renovation debt or hike in building fees. It should have sufficient accumulated funds in its renovation/repair pool or sink fund, as it is commonly known in the U.S. For example, the 42-unit building listed here was built in 1987 – after the latest earthquake resistant building standards were updated (1981), and is well-maintained, as the extremely low vacancy rate (under 5%) indicates. In December 2006, the exterior walls were restrengthened and repaired. The roof was re-water-proofed. In October 2013, a new intercom system was installed. Even with all of this work done, the building still has sufficient funds left in its funds pool – just under 19 mil JPY – for regular maintenance, improvements and renovations. Fukuoka has hot, humid summers and relatively mild winters. Therefore, there is no heating equipment to maintain. The investor can expect low maintenance and no communal building heating fees. Tenant stability ensures secure cash flow for an investor. For example, in this example, a 58 year old tenant recently moved in. He is employed as a carpenter at an interior design company. Although he just moved in and lacks long term payment history, the fact the he has taken robust rent insurance covering up to six months of rent is more than sufficient to mitigate this risk. This profile will likely translate to a longer tenancy than an elderly person or a younger person who might consider starting a family or moving up in their career and into a larger unit. 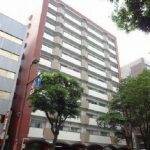 A well-maintained building and stable tenancy in a booming area, coupled with an attractive yield at an affordable price, is a sample of what Japan’s property has to offer. 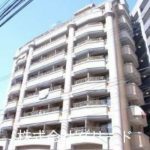 Properties in Fukuoka are often purchased within a few days of listing, with the most attractive ones lasting a day or less. Seller resistance to negotiation suggests that prices will likely continue to rise in coming years. From safer, less adventurous investments providing better capital growth potential, to a more diversified portfolio of properties all around the country, generating rental income – overseas investors have plenty of options to suit their investment goals. 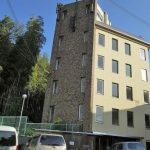 Share the post "Deal Analysis – Investment Property in Fukuoka, Japan"
This entry was posted in Japan Real Estate and tagged APAC, Asia Real Estate News, Foreign Investors, Global Real Estate, Institutional Investors, International Real Estate, Japan, Japan Business, Japan Economy, Japan Property Market, Japan Property Market News, Japan Real Estate, Japan Real Estate News, Overseas Property, Overseas Real Estate Investors. Bookmark the permalink.